We’re at peak winter sports mania right now in Canada. The Olympic Winter Games are on in Pyeongchang, South Korea and it seems like every community large or small has a winter sport event of some kind going on right now. The common thing with the Olympics and the various races, tournaments, bonspiels etc. is that they all involve amateur athletes. Whether it’s a family doing a cross-country ski marathon or Olympic ski jumping, they are all amateur athletes. Of course, Olympians train heavily for years, but none of these people are making millions of dollars to play in pro leagues. 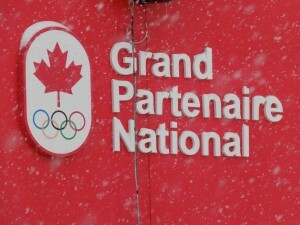 In Quebec, the Canadian Ski Marathon (CSM) tour ran from February 9 to 11. 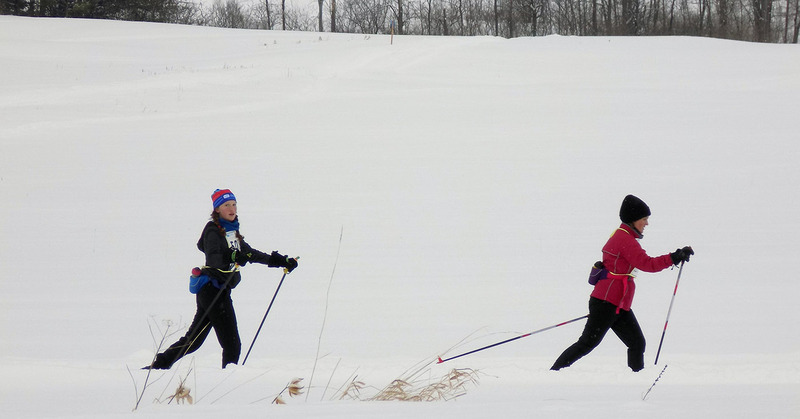 Over 1,500 cross-country skiers of all ages, most of whom were from Ontario, Quebec, New York, and New England participated. 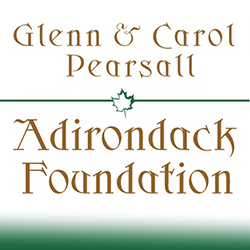 The whole event covers 160 kilometers, or 99.4 miles, from Mont Tremblant to Lachute. The Saturday portion of the marathon totaled 79.6km/49.4 miles and was divided into four shorter sections of 9.2km/5.7 miles, 22km/13.6 miles, 20.8km/13 miles, 11.5km/7 miles, and 16km/10 miles. Skiers can complete the entire tour or choose whichever sections they want to complete. Unlike many ski tour events, the CSM does not emphasize winning or losing, although it does keep track of the time each participant takes to complete their section. Just after noon on Saturday, skiers started completing their descent out of the Laurentian Mountains and were crossing the finish line in the schoolyard in the village of Montebello on the Ottawa River. Children as young as 10 smiled as they skated down Bonsecours Street toward the finish line. There were father-son, mother-daughter pairs, entire families, and retired people skiing on their own. It wasn’t the Olympics, but the CSM had the spirit of comradery, friendship, and amateur achievement that the games are supposed to have. 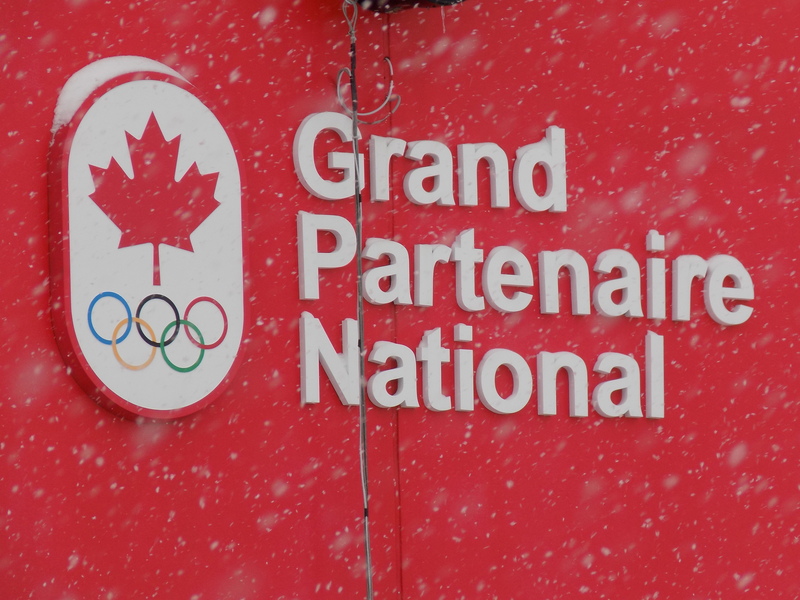 Canada has traditionally done better at Winter Olympics than it has at summer games. Geography and winter weather probably have a lot to do with that. Sure, Montreal hosted the 1976 summer Olympics, but it wasn’t Canada’s greatest athletic achievement, and it was a financial disaster that left taxpayers on the hook for decades after. We hosted the 1988 Winter Olympics in Calgary and the 2010 games in Vancouver. Those were much better, athletically and financially. Figure skater Barbara-Ann Scott, who won the Gold medal in the 1948 games in St. Moritz Switzerland, had her likeness made into a doll sold by the Reliable Toy Company of Toronto and was sold by the now-defunct Eaton’s department store chain. 1980s/1990s Olympic figure skaters like Elizabeth Manley and Elvis Stojko appeared in TV commercials for McCain frozen French Fries, pizza, and fruit punch mix. Skier Nancy Greene, who won a gold medal at the 1968 winter games in Grenoble, France, is now a member of the Canadian Senate. These are the Canadian equivalents of getting on the Wheaties box. The Pyeongchang games will be the most amateur in several years. The NHL isn’t allowing its players to play, so men’s Olympic teams are made up of mostly players from the junior ranks. Hopefully this won’t diminish the attention Olympic hockey gets from Canadians. Hopefully, it will also lessen the tendency of fans and the media to ignore the Canadian women’s team, which also has a record of winning several gold and silver medals, but just never seemed to get as much attention. 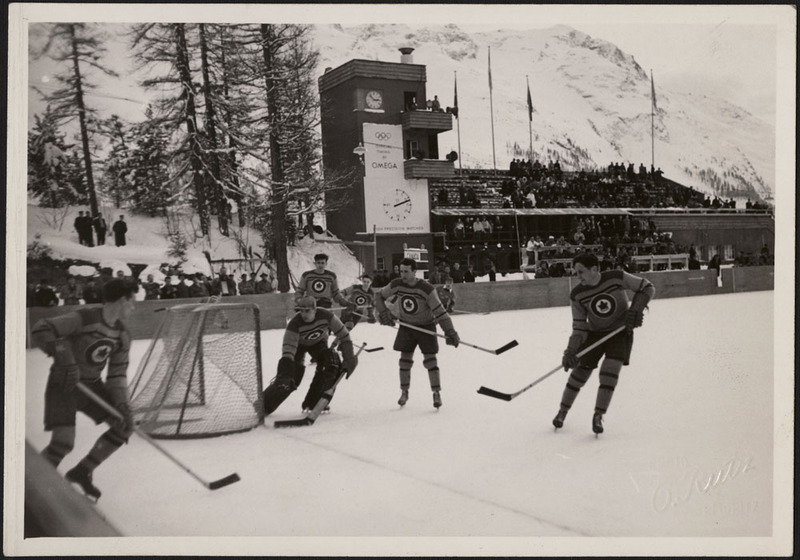 Decades ago, Olympic hockey teams were all composed of non-professionals. The 1948 men’s gold medalists in St. Moritz were the RCAF Flyers, which was mostly composed of air force and some army personnel from Ottawa. They, like many of today’s Olympians, and certainly those marathon skiers, were in it for the experience and comradery.